The impacts of pain-related sleep loss on millions of Americans are far-reaching. The problem is a notable one given the number of Americans who suffer from pain. The 2015 Sleep in AmericaTM Poll finds that 21 percent of Americans experience chronic pain and 36 percent have had acute pain in the past week. Those combine to a majority of the nation's adult population, 57 percent, leaving 43 percent who report being pain free. How does pain affect sleep? Pain joins two related concerns – stress and poor health – as key correlates of shorter sleep durations and worse sleep quality. But there are paths to resolving the problem: The sleep gap narrows sharply among those who make sleep a priority. Pain is a key factor in the gap between the amount of sleep Americans say they need and the amount they’re getting – an average 42 minute sleep debt for those with chronic pain and 14 minutes for those who’ve suffered from acute pain in the past week. By contrast, there’s no overall sleep debt for those without pain – but significant numbers even in this group do have sleep problems. About one in three of those with no pain don’t always or often get a good night’s sleep or the sleep they need to feel their best, or have had trouble falling or staying asleep in the past week. Those problems rise even higher among individuals who do have chronic or acute pain. Beyond sleep debt, self-reported sleep quality and stress levels underscore the effects of pain on sleep. Sixty-five percent of those with no pain reported good or very good sleep quality, while only 45 percent of those with acute pain and 37 percent of those with chronic pain did the same. Additionally, 23 percent of those with chronic pain reported higher stress levels, compared with 7 percent of those without pain. Those with acute or chronic pain are more likely to have sleep problems impact their daily lives. Among people who’ve had sleep difficulties in the past week, more than half of those with chronic pain say those difficulties interfered with their work. That drops to 23 percent of those without pain. People with pain are also far more apt than others to report that lack of sleep interferes with their mood, activities, relationships and enjoyment of life overall. People with pain also feel less control over their sleep, worry more about lack of sleep affecting their health and exhibit greater sleep sensitivity. They’re more likely than others to say environmental factors make it more difficult for them to get a good night’s sleep. These factors include noise, light, temperature and their mattresses alike, suggesting that taking greater care of the bedroom environment may be particularly helpful to pain sufferers. While both chronic and acute pain relate to lost sleep, the survey indicates that chronic pain is an especially powerful problem. Indeed, nearly one in four people with chronic pain, 23 percent, say they’ve been diagnosed with a sleep disorder by a doctor, compared with just 6 percent of all others. Americans who say they have very good or excellent health and quality of life report sleeping 18 to 23 minutes longer on average in the past week than those who rate their health and quality of life as just good, fair or poor. Indeed, reported sleep duration and quality decline linearly with each health rating, showing that perceptions of one’s sleep and health are deeply related. Americans who said they were very or extremely motivated to get enough sleep reported sleeping 36 more minutes per night across the week compared with others (7.3 vs. 6.7 hours). Even among those with pain, a higher motivation to get sleep was associated with longer sleep durations and better sleep quality. That's a striking metric, indicating as many as 4.2 hours more sleep per week in motivated individuals. When pain is first experienced, most people do not experience sleeplessness. However, when pain becomes a problem, it can be a vicious cycle. If someone experiences poor sleep due to pain one night, he or she is likely to experience more problems the next night and so on. It gets worse and worse every night. Also we know that pain triggers poor sleep. For instance, someone experiencing lower back pain may experience several intense microarousals (a change in the sleep state to a lighter stage of sleep) per each hour of sleep, which lead to awakenings. However, microarousals are innocuous for a person not experiencing chronic pain. Pain is a serious intrusion to sleep. Pain is frequently associated with insomnia and these coexisting problems can be difficult to treat. One problem can exacerbate the other. What can people do at home? Stop or limit caffeine consumption. Limit alcohol intake, particularly in the evening. Use of pain killers and/or sleeping pills are effective, but should be used under the supervision of a physician. Practice relaxation techniques, such as deep abdominal breathing. It is time to find a sleep professional when pain causes sleep problems and you are unable to fall asleep again. There are a variety of treatments available to ease the sleep problems of chronic pain sufferers. Call Alaska Sleep Clinic today for your free sleep assessment with a board-certified sleep specialist. 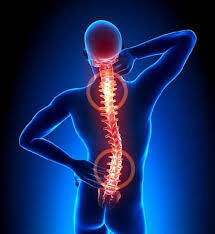 Back pain is a very common cause of sleep disorders. That uncomfortable feeling expands from the back throughout the entire body. You go through the day because you have to, but when it’s time for sleep, you feel like the pain is getting more serious by the minute.